Also known as the festival of lights, Diwali is one of the most important holidays in India. It is a global fiesta of sounds and lights. People of all religion celebrate this festival together. Diwali symbolizes the victory of good over evil and hope over despair. It honors Lord Rama and his wife Sita, who returned to the kingdom of Ajodhya after an exile of 14 years. Diwali brightens up the mood, business, and the entire country. India is a diverse country and people celebrate Diwali in different ways. Some people call it Lakshmi Puja while some call it Kali Puja. 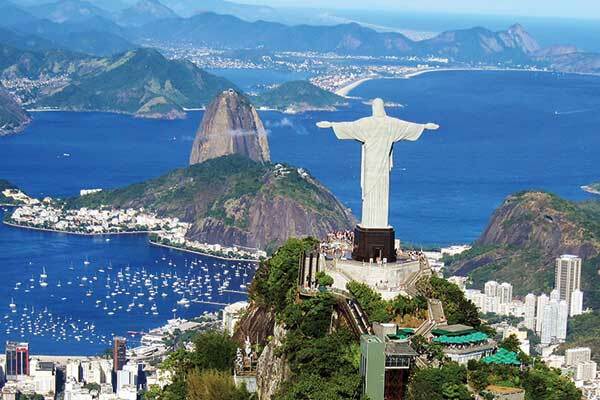 Not just India, this festival is celebrated with much fervor in various other countries as well. If you are planning a trip during Diwali, then here is a list of places that you must visit to catch the best glimpses of this festival. 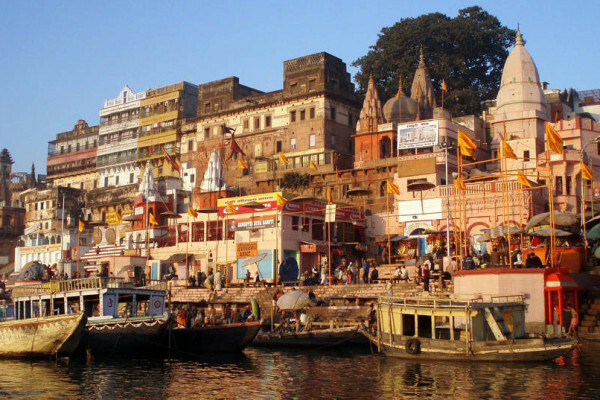 Varanasi, also called Banaras, is one of the holiest cities of India. We all know how beautiful a place Varanasi is, but it becomes even more beautiful during Diwali. As the evening grows darker, the devotees throng the Ghats to light the diya and leave them on the river to float. It is one of the long-standing traditions of this place. Thousands of diya floating on the river make a splendid view. It looks like the stars have fallen on the earth. And the continuous firework makes the evening Aarti even more special. 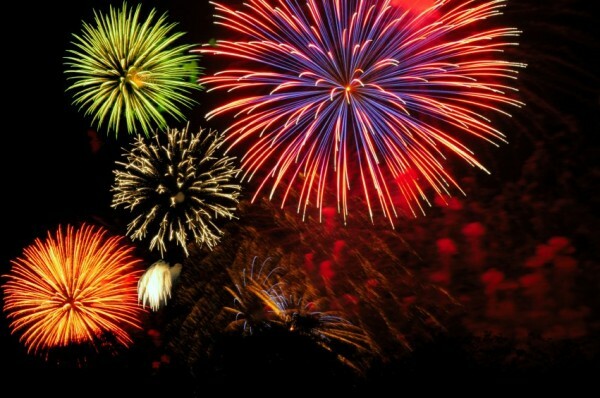 The firework goes on all night long. 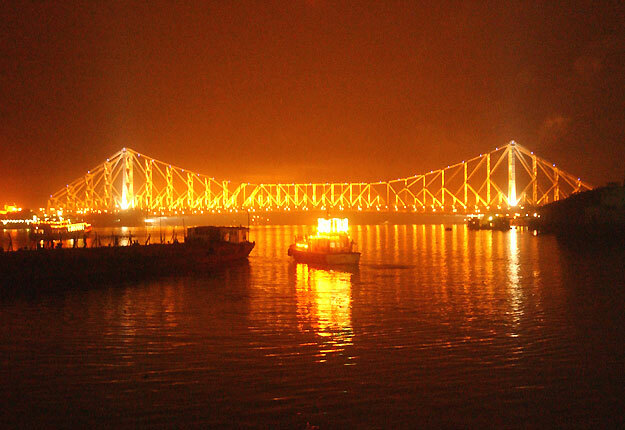 We would suggest you to hire a hotel near the riverside to enjoy the views of the illuminated Ghats. 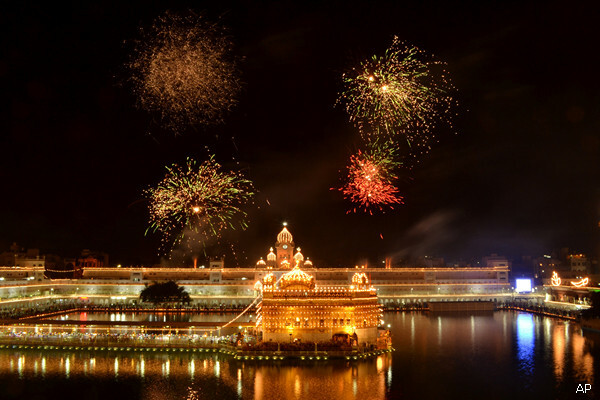 Celebrating Diwali in Amritsar will give you one of the most memorable experiences. 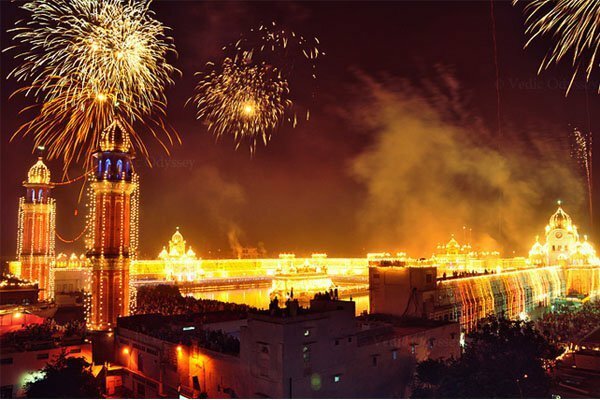 The holy Golden Temple is where you should look forward to enjoying a breathtaking Diwali celebration. The Sikhs celebrate Bandi Chhor on the same day as Diwali. It marks the return of Guru Hargobind Ji, the Sixth Sikh Guru from the Mughal imprisonment. The Golden Temple is beautifully draped with lights on the day of Diwali. 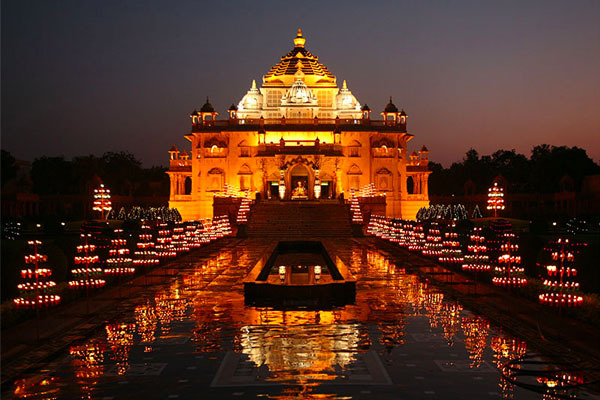 The floating Diyas illuminating the Sarovar make a magnificent spectacle for the onlookers. The spiritual ambiance is invigorated by the echo of regular Kirtan. Do not forget to enjoy the culinary delights here. Mumbai is not a traditional place to enjoy Diwali. In fact, nothing different happens in Mumbai during Diwali, but the view of the city during Diwali is worth witnessing. The fireworks are the main attraction here during Diwali. The fireworks illuminate the night sky like no other thing. 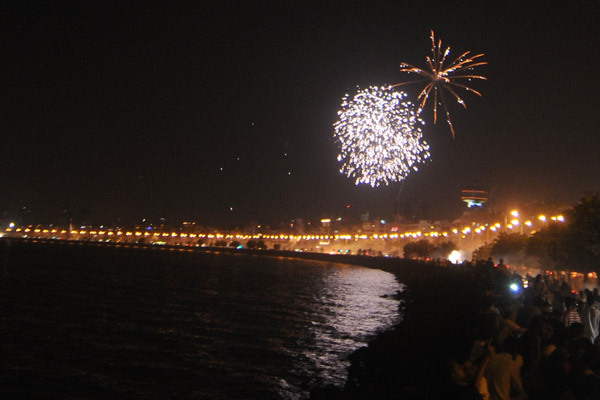 The best place to witness firework here is on the Marine Drive. The already glistening Queen of Arc provides the perfect background as the exploding firework reflects in the waters of the bay. Pink City, aka Jaipur, is also one of the best places to witness Diwali. The aesthetic beauty of the place comes from the warm glow of lamps and lights adorning the streets, homes, shops and buildings. Not just the homes and palaces, but even the local markets are illuminated in the brightest of lights. 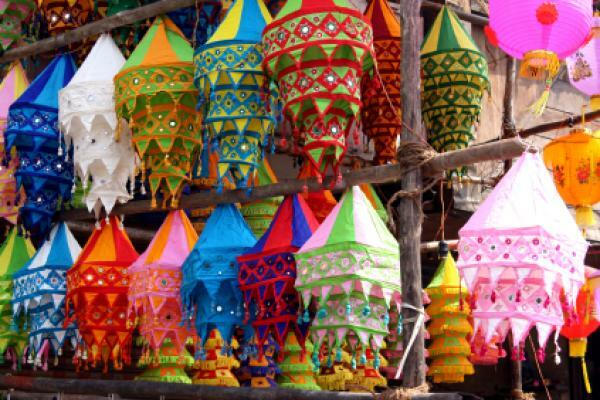 To supplement the joy of Diwali, Jaipur organizes a big shopping festival. The Jaipur Shopping Festival is organized by the trade union in Jaipur to promote trade in the state. Every small and big market participates in the shopping festival. So you will have a large amount of items to choose from. Cultural performances and shows, golf and polo tournaments are organized to grab the attention of tourists. Besides, you can also treat your palate to the delicious food items and sweets of Jaipur. Jaipur is indeed one of the best places to visit during Diwali. Kolkata is very different from other Indian cities when it comes to celebrating Diwali. In fact, the city lives up to its name during the festival of Diwali. The dates of Lakshmi Puja and Kali Puja coincide, so Kolkata’s prefer to perform the puja for their beloved goddess on Diwali. The day bathes in the light of candles, diya, and electric bulbs to celebrate the commencement of Kali Puja at midnight. Plenty of offerings are made to Ma Kali during this fest. Besides flower, fish and sweet, even a buffalo calf is offered to Ma Kali. A dazzling show of firework is also a part of the celebration. 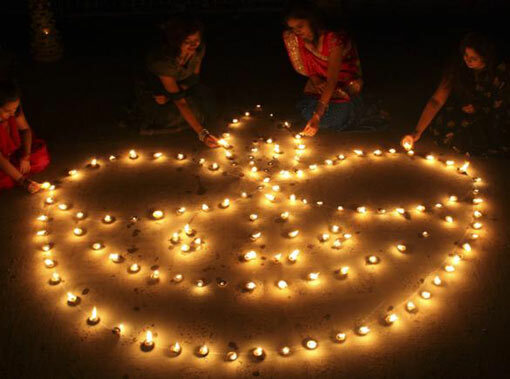 People of different regions reside in Delhi, and each of them celebrates Diwali in their way. Bengalis celebrate Kali Puja while Biharis celebrate Chhat Puja on the sixth day of Diwali. New Delhi is also one of the best places to shop for Diwali. The markets or bazaars will give you some incredible deals. Delhi is not very hot during Diwali, so you can enjoy every attraction of this place without the intolerable heat. The historical monuments are must visit places here. So are the malls and museums. Hauz Khas is one of the best places to see the excitement of Diwali. People of every religion come here to celebrate Diwali with much pomp. If you are thinking of celebrating Diwali in Goa, then you have to keep two things in mind- one is being a part of the Narakasura ritual, and the other is, of course, gambling. The focus of the celebration of Diwali in Goa is on the destruction of the Narakasura demon by Lord Krishna. Competitions are held every Diwali to see who can make the scariest and the biggest effigy of the devil. The effigies are burnt on the eve of Diwali. It symbolizes the triumph of good over evil. As for the gambling, you might want to try your luck at the top casinos of Goa. The festival of life becomes the festival of joy in Cape Town. If you visit the place at the end of October, you can enjoy some dance performances, musical events, fashion shows, and Diwali Fair. Here, you can taste traditional Indian dishes, or you can buy an authentic Diwali souvenir. And be prepared for the magnificent firework. 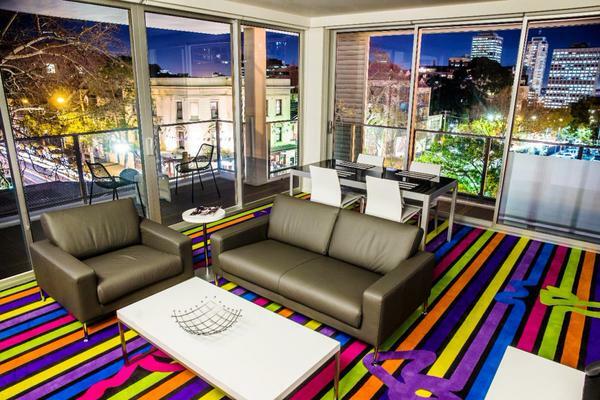 Have you had enough stress from the city and need a break? Then Purushwadi is a peaceful place to celebrate Diwali. It is a small village located on top of a hill along the Mumbai-Nasik highway. The families of the town organize the bonfires on the eve of Diwali and cook local food. Women make Rangoli on their entrances and courtyards. Children go from door to door, singing traditional songs and asking them to pour oil into the lamps. We think that it is a nice and unique tradition. You can also organize your barbecue dinner on the bonfire. It will be great fun. As mentioned earlier, the festival of Diwali is not reserved for the Indians only. People of all religious backgrounds celebrate Diwali on the London streets. Diwali is a time to cultivate the values of friendship, family and other months within the community. People light hundreds of earthen lamps and exchange sweets and gifts. 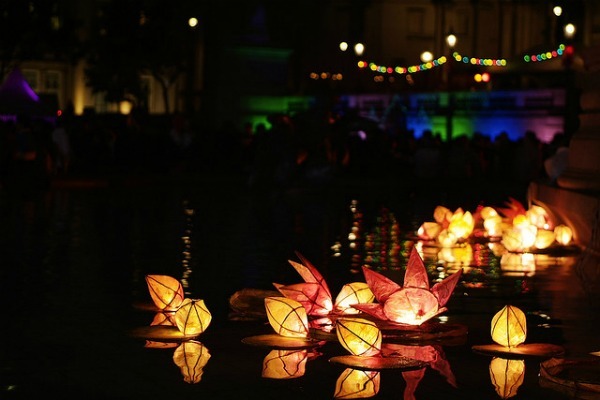 There are several venues in London where you can celebrate Diwali. There is a mass gathering in the Trafalgar Square. You must join the festivities here. Remember, you can experience the quintessence of Diwali only if you participate in the carnival with the locals. Of course, there are many other places that you can visit to celebrate Diwali, apart from these ten. Tell us which where you would rather celebrate Diwali by commenting below.